Press Sample It's the final day of Nail Crush Week, and it just so happens to Valentine's Day, and it's Friday. So let's begin shall we? Originally I wanted to do some awesome floral print nails, but I got sick and couldn't conjure up enough energy to do them. So I'm closing out Nail Crush Week with a simple golden nail look. 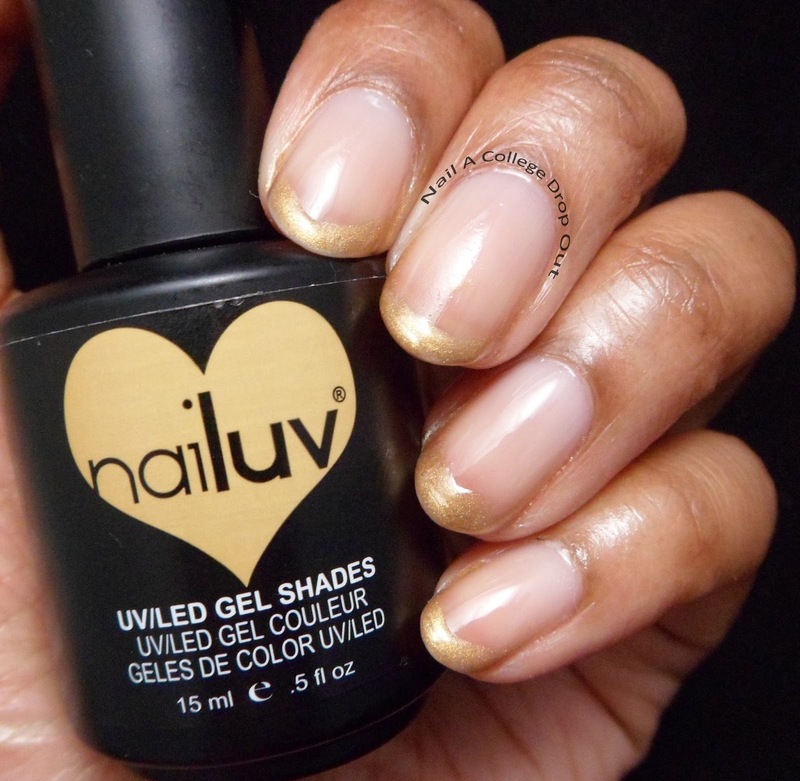 For this easy look I used nailuv Gel Polish Risque Business. Nail Crush Week may be over but the two giveaways are still open! Enter them and recap posts from my awesome guest bloggers here. nailuv Risque Business retails for $14.95 on nailuvpolish.com. I hope you all enjoyed Nail Crush Week as much as I did! Clean and easy. Love it. Love it...sometimes simple is so much better!